Made to share, our mixed box of KitKatÂ® Senses includes all three deliciously indulgent flavours: Salted Caramel, Double Chocolate and Hazelnut. Lift the lid to reveal a pop open box designed for sharing, full of individually wrapped indulgent treats - with something for everyone to enjoy! With creamy, indulgent fillings, delicious KitKatÂ® chocolate and the crisp, light whisper of our iconic wafer, each bite is made to delight the senses. Enjoy sumptuous salted caramel, infused with caramel flakes; rich ganache and intensely chocolatey cocoa nibs; or indulgent praline with crunchy hazelnut pieces. Each flavour of these bite sized pieces offers something unique and deliciously different. 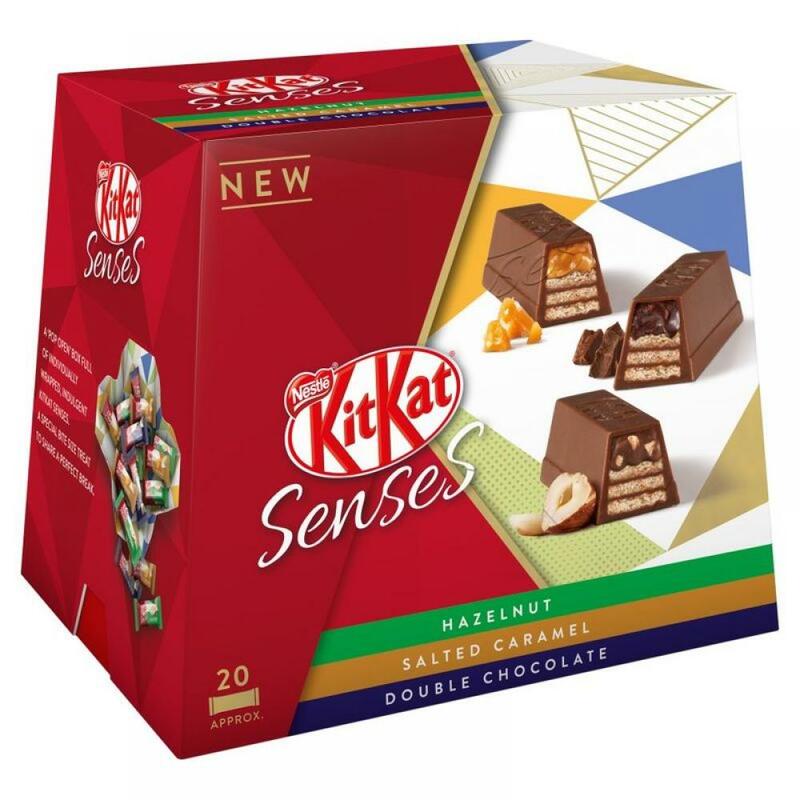 Grab a box of Mixed KitKatÂ® Senses to make any occasion special: there's a flavour for everyone! Find out more about Kit Kat in their own dedicated category.